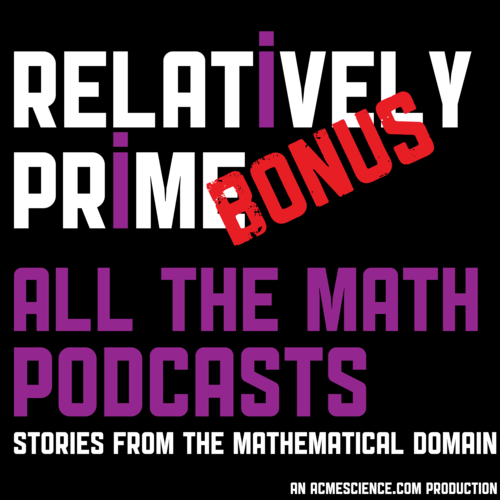 This bonus episode of Relatively Prime features a live podcast recording from 2018’s Annual MathsJam Gathering. This live podcast featured segments from Math/Maths, Wrong But Useful, Talkdust, Strongly Connected Components/Travels in a Mathematical World/All Squared, The Aperiodcast, Relatively Prime, Taking Maths Further, and a surprise bonus show. It was a blast to record and hopefully also a blast to listen to. The Aperiodical did a more complete round-up of the live podcast which you can read here.